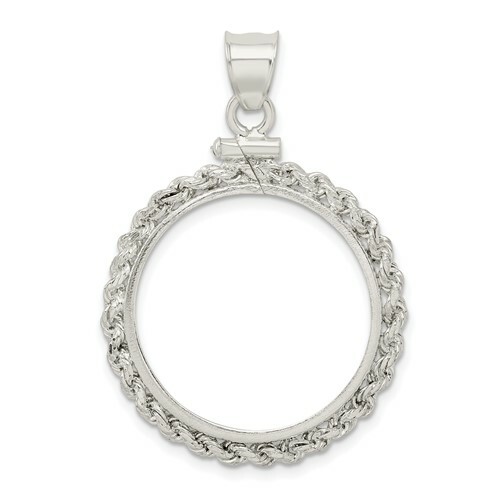 This sterling silver coin rope bezel pendant fits a 25 cent coin. Screw top. 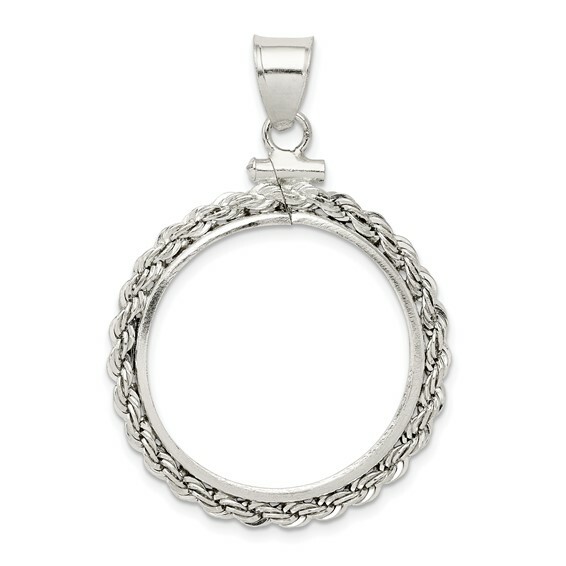 Dimensions: 24.1mm x 1.7mm. Made in USA.